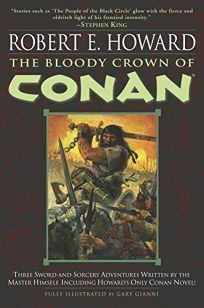 The Bloody Crown of Conan, illustrated by Gary Gianni, gathers Robert E. Howard's only Conan novel, The Hour of the Dragon, plus two short stories and rare Howard miscellany. Scholar Rusty Burke explains Conan's enduring appeal in his introduction. Agent, Judith Hansen. .